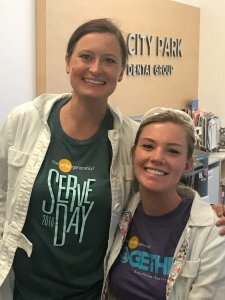 In collaboration with Smile Generation-trusted dental office volunteers, DLN was able to help provide patients comprehensive donated dentistry for Smile Generation Serve Day 2018 on August 18. Smile Generation Serve Day is an annual day of service and part of a nationwide campaign of giving that focuses on providing donated dentistry to patients in need. Since its inception in 2011, more than 15,000 patients have received donated dentistry during Smile Generation Serve Day, totaling $25 million in oral health care. DLN has participated in Smile Generation Serve Day for the past two years. Dr. Amanda Jozsa, a Donated Dental Services (DDS) volunteer and Smile Generation Serve Day participant, was able to transform the life of Russ – an Army veteran. “If you just take the time to talk to someone and find out how you can help them, you can make a huge difference in their life,” said Dr. Jozsa. Learn more about how to volunteer with DLN, and see Russ and Dr. Jozsa’s story in the video above.